If you’re a frequent reader of The G Edit, you’ll all know I’m a huge lover of facial oils. There’s something about them that just leaves my face feeling so hydrated and fresh. It can’t get better than that. 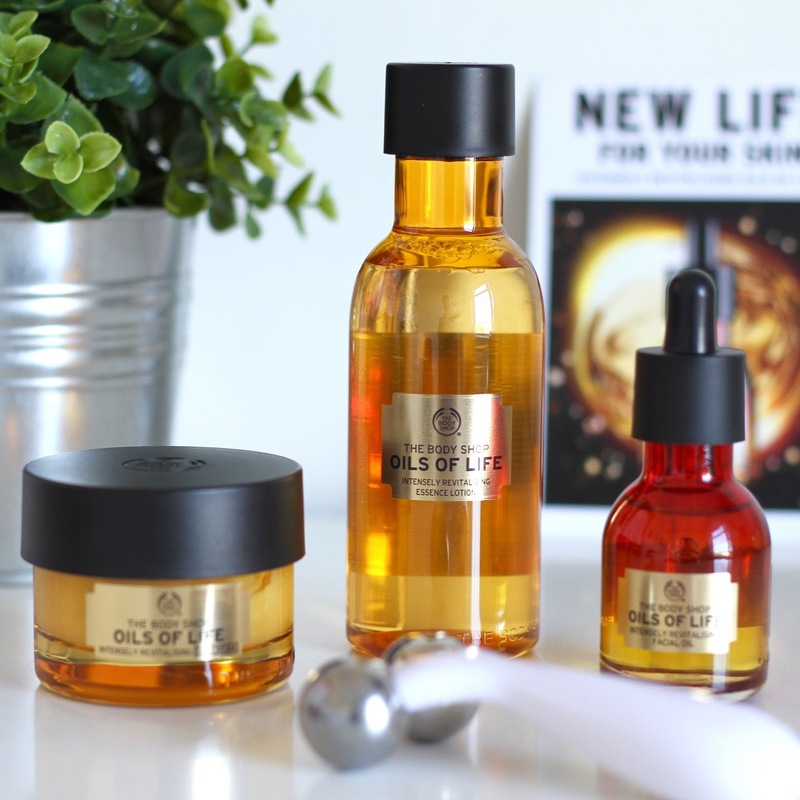 When I heard last month about the new Oil’s Of Life collection launching early September, I couldn’t wait to see what products were going to be stacked on the shelves. 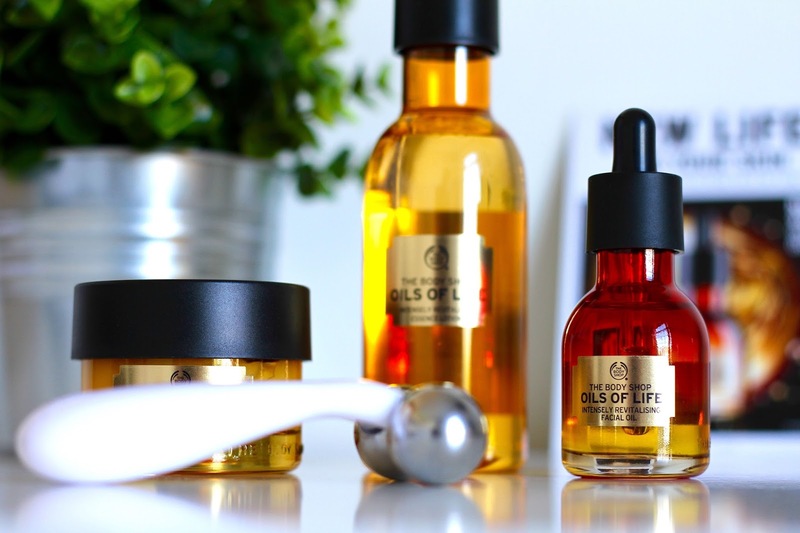 After my sneak preview sample of the Oil’s Of Life Intensely Revitalising Facial Oil, it completely set the bar for my expectations of the whole line. The Body Shop Metro Centre invited me down to try out the new line, and even treat me to an amazing facial using the new products. First of all my face was revitalised using their Essence Lotion. Now I’ve used essence lotions before but different brands use them in different ways. The idea of The Body Shop’s Essence Lotion is to be applied after your toner, before moisturising to lock in all the hydration. This can then be followed by the Oils Of Life Facial Oil. This is one of my much loved products at the moment and has been used every evening since I got it. It really does even out your complexion, reducing those uneven skin tone areas around your face and leaving it feeling super soft. This is by far my favourite Body Shop release in a long time, and they are really setting their standards high! To apply this, you add a few drops in the palm of your hand, rub your hands together to warm the oil, in hail the scent then apply to your face by patting it into the skin. You can then move in with a facial massage, using techniques such as pushing the skin upwards and in circular motions. The Body Shop have brought out an amazing facial massager to help make this massage process a lot easier! Next, The Body Shop Intensely Revitalising Gel Cream was applied. Again, when I look for moisturisers, I love gel based solutions. A few favourites of mine include the Origins GinZing Moisturiser, The Body Shop Vitamin C Moisturiser and also the Cordage Creme De Jour. The Oils Of Life Moisturiser has flown right to the top of my favourites due to it’s light weight formula, instant refreshment and how it sinks right into the skin leaving no sticky texture behind. If you’re not a fan of gel based moisturisers, there is also a cream version available too. Just take a little bit of the product, warm into your hands and gently rub into your face locking in that hydration. One last thing! Have you signed up to the new Body Shop reward scheme? No? You’re missing out! You may be familiar with their old reward cards where you get a tick every time you buy something, then after so many get £5 off? Well this reward scheme is so much better. You collect points (10 per pound) the more you spend, and after every 500 points, you receive £5 off in store or online. You also get £5 to spend on your birthday allowing you to buy even more Body Shop goodies! Just pop into your local store or online to sign up, it’s super easy. To see more about my experience at The Body Shop, check out my VLOG here. 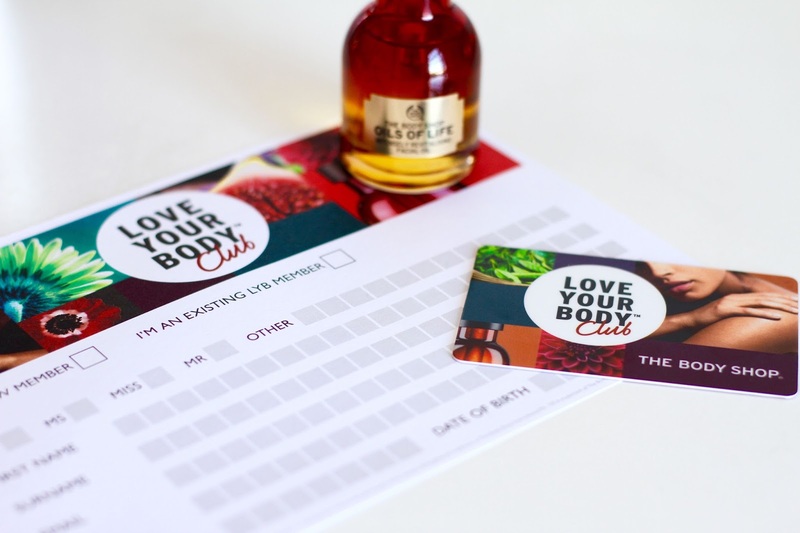 Have you signed up to The Body Shop’s new Love Your Body Club? *Some product(s)/content in this post is sponsored, however all opinions and views are honest and my own. For more information, please click here.